Select your file or folder on your PC. Drag and drop to Documents in SharePoint. 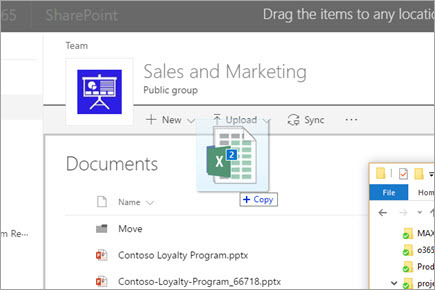 See Upload a folder or files to a document library. 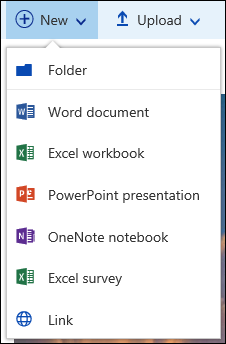 Select the Office document type from the new menu in Documents. Rename the file in the title bar. Changes you make in Word, Excel and PowerPoint Online are saved to the document library as you type. See Create a new file in a document library. Select the Office 365 App Launcher and then select SharePoint. You'll see sites you visit frequently, sites you're following (including the site you just created), and suggested sites. Use search to find additional sites, files, or people in your organization. 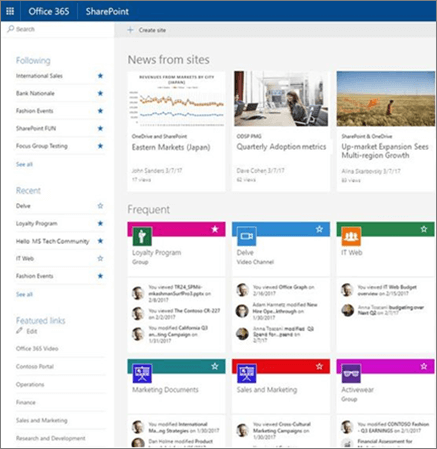 See Find news, sites, and portals in Office 365.